The tibia is the major bone of the lower leg, commonly referred to as the shin bone. Tibia fractures can occur from many types of injuries. Tibia fractures come in different shapes and sizes, and each fracture must be treated with individual factors taken into account. In general, tibia fractures can be separated into three categories based on the location of the fracture. Specific issues concerning these fractures are discussed on the following pages. It should be noted that open, or compound, fractures must be treated specially. Open fractures occur when the fractured bone is open through the skin. These fractures are at especially high risk of developing an infection, and generally, require surgical treatment in all cases. Tibial Shaft Fractures: Tibial shaft fractures are the most common type of tibia fracture and occur between the knee and ankle joints. Most tibial shaft fractures can be treated in a long leg cast. However, some fractures have too much displacement or angulation and may require surgery to realign and secure the bones. Tibial Plateau Fractures: Tibial plateau fractures occur just below the knee joint. These fractures require consideration of the knee joint and its cartilage surface. Tibial plateau fractures can lead to a chance of developing knee arthritis. Tibial Plafond Fractures: Tibial plafond fractures occur at the bottom of the shin bone around the ankle joint. These fractures also require special consideration because of the ankle cartilage surface. Tibial plafond fractures are also concerning because of potential damage to surrounding soft tissues. If you have a suspicion that you, or someone you are helping to care for, has a tibia fracture, it is important to seek immediate medical care. While this can be done at your orthopedist's office, it is typical for an individual with a suspected tibia fracture to be seen in an emergency department. 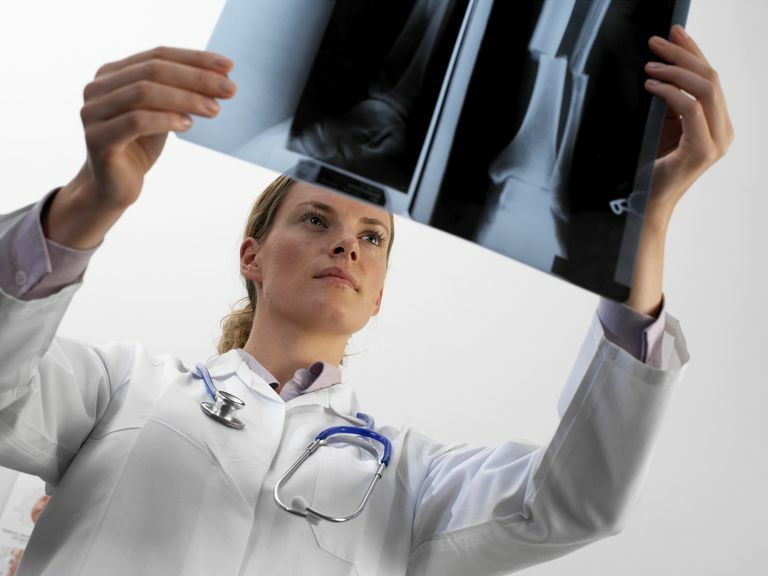 X-rays are the most helpful test to diagnose a tibia fracture, and often the only test needed, even when surgery is being considered for treatment. Other tests can be helpful including MRIs and CAT scans. When the fracture involves the area surrounding the ankle or knee joint, a CAT scan can help your surgeon plan how to best reconstruct the important surface of the joint. MRIs are most often used if there is a question of the diagnosis of a fracture, such as stress fractures of the tibia. Not every tibia fracture needs a surgery, and many can be managed with immobilization and limitations in weight-bearing activity. In many of these cases, a cast is used for treatment. In other situations, the fracture alignment or stability may be such that surgery will help to ensure more proper healing of the bone. Surgical treatment options can vary and may include pins, plates, screws, and rods. Again, the exact method to repair a tibia fracture is highly dependent on the specific circumstances of the injury. Surgery may be performed as an emergency soon after the injury, or in other cases, it may be delayed until swelling and soft-tissue injuries have begun to heal. Recovery timelines are also highly variable and depend on the specific circumstances of the fracture and treatment provided. In general, tibia fractures will take a minimum of three months for healing, and many can take much longer for a full recovery. Bono CM, et al. "Nonarticular Proximal Tibia Fractures: Treatment Options and Decision Making" J Am Acad Orthop Surg May/June 2001; 9:176-186. What's Your Tibia and Why Does It Hurt?